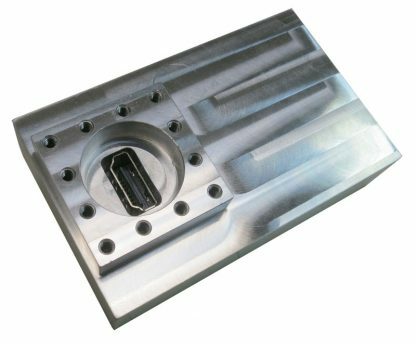 The HDMI-1 filter consists of a HDMI ver.1.4 compliant filter inside a machined aluminum housing which provides exceptional RF shielding on all data and power lines. The JRE HDMI-1 filter operates on an entirely new principle in data signal filtering. Previous filter designs used low pass filtering on the data lines to attenuate interfering wireless RF signals - however, as data speeds have increased, the data signals fall within the same frequency range as the interfering signals. Thus, simple low pass filtering cannot be used since such a filter will attenuate both the data and the interference. 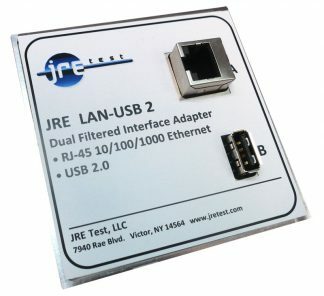 Our Patent Pending design uses an innovative application of signal phasing techniques and topology to filter out all RF signals except for the desired data signals. 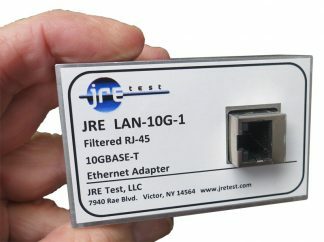 This ability to discriminate between data signals and undesired RF signals is especially valuable when testing at HDMI signal rates, since the signaling rate falls within wireless signal frequencies. Low pass filtering of the HDMI signal is not possible, since the 'stop band' of the filter has to be placed above the range of interfering signals - thus they passed through unattenuated. 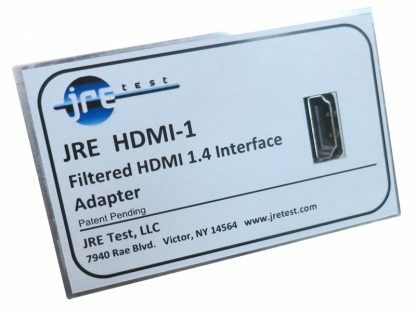 Previous to the introduction of the JRE HDMI-1 interface, non filtered, but shielded HDMI bulkhead connectors were used. Filtering was non-existent and depended simply upon the HDMI cable shield. Obviously, this 'lash-up' was extremely leaky, especially at higher RF frequencies. The JRE HDMI-1 and its patent pending design completely answers these issues. 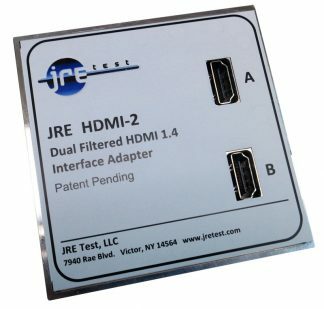 The HDMI filtered interface consists of balanced pairs of data lines utilizing JRE proprietary signal phasing techniques, along with appropriately filtered lines for the control and low frequency conductors. 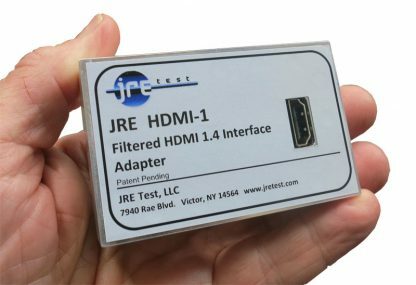 Standard HDMI Type A connectors are used allowing simple and reliable connection to your HDMI devices. 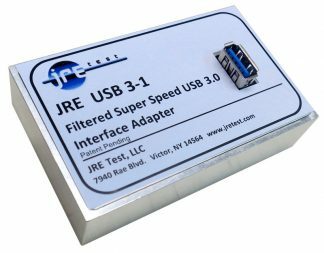 The filtering passes the HDMI signal data while providing rejection of 80 dB to undesired RF wireless signals. Included is a HDMI Type A Male to Male jumper cable. 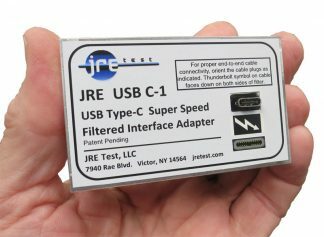 Test USB C Type 'Super Speed' compliant devices in a shielded RF Enclosure.